Are you seeking to expand your knowledge? Or are you a business owner looking to train up your staff? If so, you will most certainly benefit from a visit to the Childcare Expo. At the Childcare Expo, you will have the opportunity to partake in invaluable training for childcare that will increase your understanding of the subject. What is happening at the Childcare Expo? For those looking to be inspired, the Childcare Expo is the place to be. Organised by Broadway Events, this two day event is the best way to gain access to the most current information, products and services. As the best platform for training in childcare, you will find dozens of leading companies and speakers, each with first-hand knowledge and expertise to bestow. 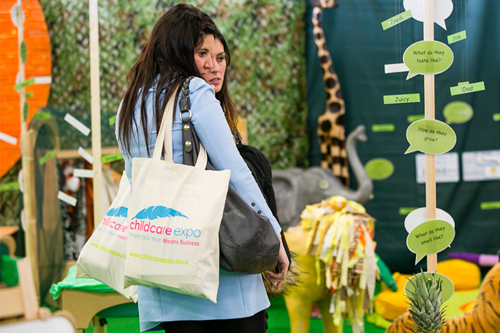 Best of all, the Childcare Expo is ideally suited for any individuals whose occupation involves children. From nursery owners and nannies to childminders and primary school head teachers, there are many childcare training benefits to be had. From informative seminars to interactive workshops, there are a jaw-dropping number of activities taking place right across the Childcare Expo. There’s plenty to do, see and experience so if you are seeking training for childcare, you won’t be disappointed. Plus, when you visit our fantastic ‘Shopping Village’ you will discover thousands of amazing products and resources the likes of which you couldn’t possibly imagine. You are sure to find something new and exciting to motivate and inspire. Our ‘Meet the Experts’ panels are the perfect way to gain knowledge and increase your understanding. All of our panellists are recognised childcare professionals with many years’ of training to call upon. Also, while you’re here be sure to check out our fun ‘Learning Location’, engaging ‘Twinkl Inspiration Zone’ and exciting ‘Snap & Share Zone’. Why should you partake in training for childcare at the Childcare Expo? Brought to you by Broadway Events, the Childcare Expo represents the pinnacle of advanced training in childcare. Our tri-annual event has been carefully put together to bring you the best and most exciting aspects of the early years’ profession. As both organisers and owners of Childcare Expo’s three national exhibitions, we remain committed to ensuring the most dynamic events imaginable. We carefully cultivate the finest and most reputable suppliers, partners and exhibitors to provide childcare training that is highly educational. As repeat finalists at the Exhibition News Awards, it is easy to see why we are a firm favourite among early years’ professionals. 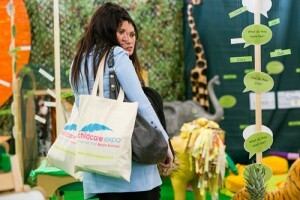 If you’d like to exhibit or sponsor opportunities, get in touch with the Childcare Expo today. Alternatively, for those seeking training for childcare, call 01425 838393 or fill out our online form and register your interest today.